Currently my miles are dismally low. Our “what doesn’t kill you makes you stronger” weather in Montana gives us runners a daily opportunity to test our resolve. Or go skiing. But one thing that consistently keeps me honest is my training log. My training has evolved over the past two decades. Most of that time was dedicated to prep for fighting wildland fires, and my main fitness goals were to maximize strength to weight ratio and build power endurance. Each winter, building muscle and aerobic base was the first goal, then leaning out while building power and some speed. Finally, a couple months were spent in intense training to cut fat, stressing power-endurance for hot, grueling days on the fire line. The cycle is similar with mountain and trail running, since the race season is mostly during summertime. During fall months, as days get shorter and meals get heartier, recovery is paramount—both mentally and physically. Then begins a slow process of rebuilding and refining. Different tribes have developed over the years concerning the best way to structure seasonal training cycles for ultra-distance trail running. 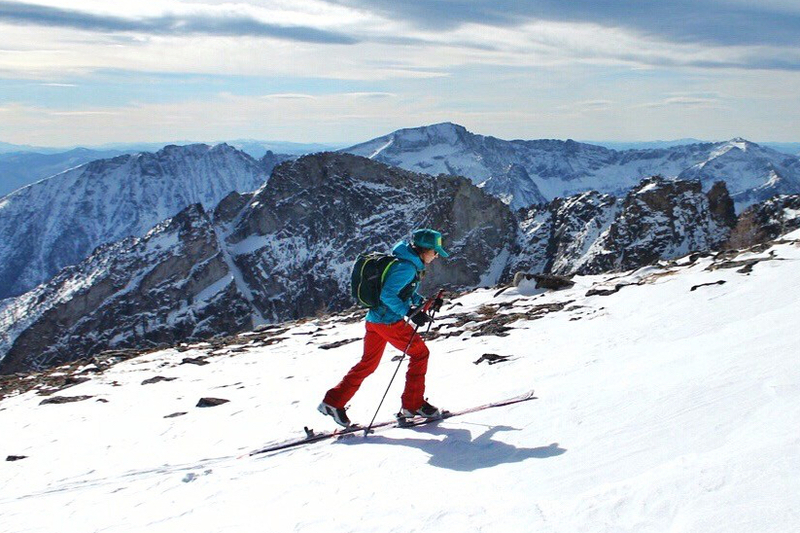 And given the recent popularization of ski mountaineering races, no set formula is likely to work perfectly for every athlete. Overload: the body must be exposed to an abnormal stress for training adaptations to occur. This can be with increased load to develop muscular force, for example, or increased speed to develop power. Adaptation: Over time, the body gradually adapts to imposed demands. For example, during the process of training for muscular hypertrophy, the cross-sectional area of muscle cells increases as larger loads are moved. Similarly, with repetitive tensile loads from muscular contractions, tendons increase in strength and thickness over time, and bone becomes more dense. Recovery: The body requires periods of well-timed rest to adapt to overload. An important key to developing strength is allowing the muscle to heal and grow—counterintuitively rest days are when you’re actually building muscle and mitochondria. Reversibility: Use it or lose it. The body will gradually lose adaptations if the stress is removed for too long. Consistency: In order for continued adaptations to occur, stresses must be imposed on a regular basis, (e.g. say no to weekend-warrioring). This is particularly relevant now when it’s difficult to log lots of miles in the snow. Consistently performing a cardio routine to build aerobic base, however, is paramount for long distance races in a few months. Consider logging time versus miles and effort versus speed to keep progressing. Progression: To achieve positive adaptations to overload, realistic timeframes for change must be observed. Various phases of training are often worked into the year, month, week, and day to maximize gains and avoid overtraining and injury. Individuality: Physiology varies between people based on a multitude of factors, including their genetics, previous experience, hormone levels, even their psychology. When developing a program, it’s important to recognize factors influencing different rates of progression. Specificity: Neuromuscular coordination for a specific skill is developed by practicing that skill repetitively. For example, hiking may improve aerobic fitness, but it will not lead to increased cadence required for running up a mountain. Likewise the agility for running fast downhill or on technical terrain can’t be built on smooth, flat single-track. As the race season nears, developing and adhering to a realistic program is the best way to reach your most unrealistic goals. Will you Marry ME ??? ?